It's easy to save with Trinidad vacation packages on Expedia. You'll have loads more time to plan your thrilling experiences — and more spending money! Book your deal on Expedia and earn savings of up to C$590*! It really is that simple! Our enormous database allows you to search more than 321,000 properties worldwide and 400 partner airlines. With such a broad range of options, organizing your dream vacation will be simple! Itinerary looking a little empty? Trinidad vacation all organized but unsure what you're going to do when you arrive? Let us make it simple. Find a good vantage point and observe life roll by at Plaza Mayor. If you're up for some socializing, this time-worn gathering point is also an excellent place to have a chat with locals and fellow travelers. Visitors in this destination have heaps of options. Wouldn't mind adding some greater meaning to your vacation? Go on a pilgrimage to Iglesia de la Santisima Trinidad. No matter your spiritual beliefs, it's a fantastic place to observe and find out about the local religion. Still got some time to spare? Even on a rainy day, it's worth taking a walk through Cespedes Park. Put up your umbrella and soak up the fresh earthy smell. There's nothing as satisfying as arriving at Jaime Gonzalez Airport (CFG) after a long flight. Once you've secured your bags and done a few stretches to get your legs moving again, you'll find yourself about 35 miles (56 km) from the center of Trinidad. The main square of Trinidad, Cuba, is lined with colorful historic buildings constructed during the region’s prominence as a sugar-producing center. This vast 19th-century church towers over Trinidad’s main square and is a great starting point for exploring this UNESCO-protected city. Take a pleasant ride out to this beach on a south side peninsula and enjoy sunbathing, snorkeling and splashing about in the blue-green water. This bright yellow building near Plaza Mayor holds examples of some of the most impressive wealth from the city’s rich past. Enjoy panoramic city views from a tower lookout and browse exhibits about Fidel Castro’s conflicts with counterrevolutionaries at this church and convent. One of the earliest mansions of the city’s golden age is now a museum showing the elegant fineries of Trinidad’s wealthy sugar-producing period. Situated by the ocean, this guesthouse is within 6 mi (10 km) of Municipal Historical Museum, Plaza Mayor, and Colonial Architecture Museum. Cespedes Park and Romance Museum are also within 6 mi (10 km). 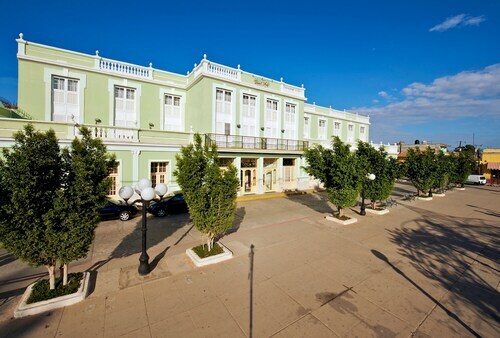 Situated in Trinidad, this hotel is within a 10-minute walk of Cespedes Park, Municipal Historical Museum, and Colonial Architecture Museum. Iglesia de la Santisima Trinidad and Romance Museum are also within 10 minutes. Situated in Trinidad, this hotel is within a 15-minute walk of Santa Ana Square, Iglesia de la Santisima Trinidad, and San Francisco Church. Romance Museum and Colonial Architecture Museum are also within 15 minutes. 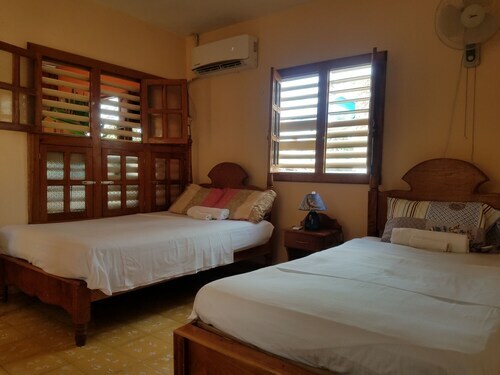 Located in the heart of Trinidad, this guesthouse is within a 15-minute walk of Cespedes Park, Santa Ana Square, and Municipal Historical Museum. Colonial Architecture Museum and Iglesia de la Santisima Trinidad are also within 1 mi (2 km). 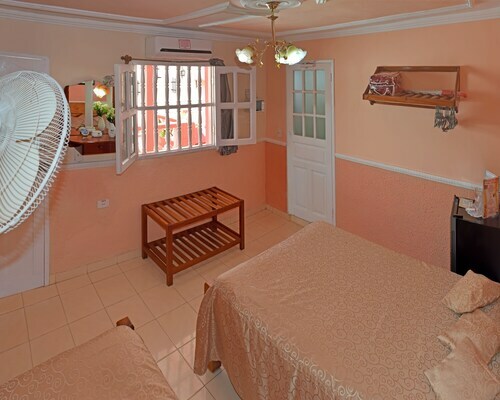 Located in the heart of Trinidad, this guesthouse is within a 10-minute walk of Municipal Historical Museum, Plaza Mayor, and Colonial Architecture Museum. San Francisco Church and Cespedes Park are also within 10 minutes. 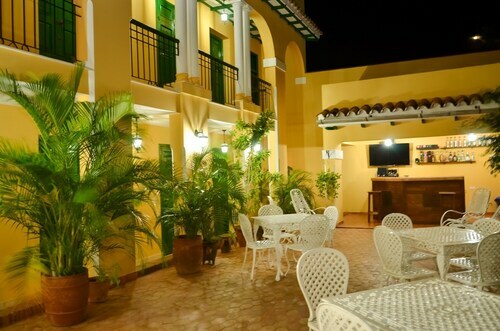 Located in the heart of Trinidad, this hostal is within a 10-minute walk of Municipal Historical Museum, Plaza Mayor, and Colonial Architecture Museum. Romance Museum and San Francisco Church are also within 10 minutes. Located in the heart of Trinidad, this guesthouse is within a 10-minute walk of Municipal Historical Museum, San Francisco Church, and Plaza Mayor. Colonial Architecture Museum and Romance Museum are also within 10 minutes. 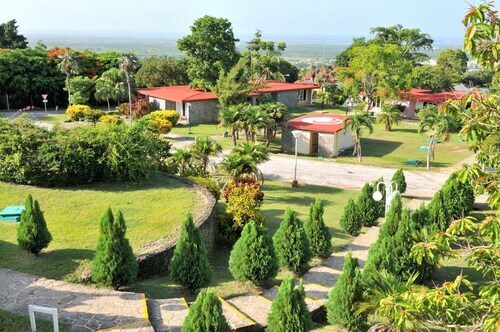 Situated in Trinidad, this hotel is within 2 mi (3 km) of Topes de Collantes Nature Reserve, Municipal Historical Museum, and San Francisco Church. Plaza Mayor and Colonial Architecture Museum are also within 2 mi (3 km).